Everyone has hobbies. The hobby of 91-year-old Phyllis Reeve is quite noble. 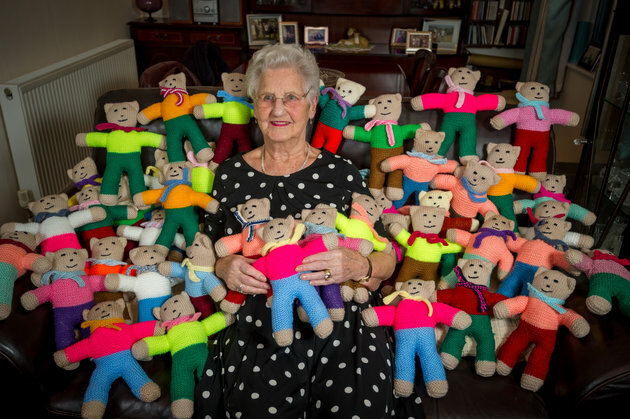 She has knitted over 8000 teddy bears over the past 22 years. All of them are going to charities and kids in need, the Metro reports. Reeve volunteers in a charity shop where she helps out. Every month she and her daughter Janet Young drop off a bag of teddy bears to Teddies for Tragedies. The teddy bears then go to kids in need all over the world. Her bears have travelled all the wear to China to comfort kids in need and after disasters.